Ringco Liquidators address, phone, website, hours of operation, and more. We provide an immediate cash payment upon acceptance of personal property offer. Cash payment paid for real estate at closing. We are full service from evaluation, pricing, preparation and on location estate sale execution. 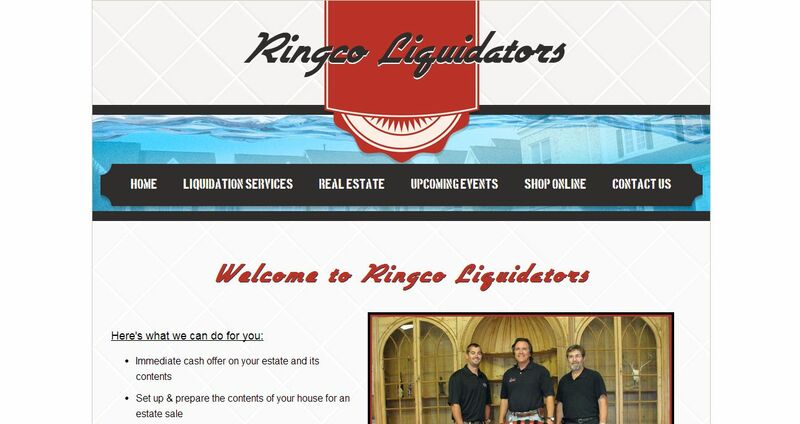 We make the burden of liquidating an estate simple and easy for you. Every situation is different and we will work with you to provide the service that best fits your needs. With over 20 years of corporate real estate experience and over 10 years of personal experience in residential & commercial real estate we understand the changing market. our real estate division is headed by a local licensed agent dedicated to our company business and highly focused on the newest strategies that emerge to enhance current day sale success. Our real estate agent on staff is always available and will walk you through every step in the process of selling your estate.